On March 29th and 30th, the Chair of Corporate Social Responsibility organizes the 22nd Sustainable Business Summit, and 2nd „Digital Changemakers Summit“. During the two day event, 40 Mannheim students will work together in groups mentored by practitioners to develop concepts for digital solutions to social and/or environmental problems. Software engineers will be present to advise students during the development process (no prior technical or programming skills are required). The goal of the interactive workshop is to develop a mock-up of a digital solution (e.g., a website or an app) and a social business model canvas for its application. More broadly, the workshop aims to raise awareness of the positive potential of digitalization to remedy social and environmental challenges. 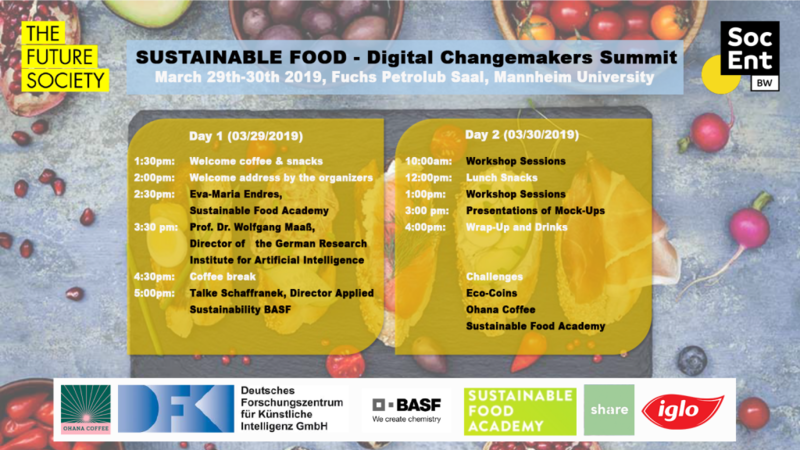 The talk will first explain some basics of sustainable food followed by opportunities and challenges of digitization in the food industry, and finally shows some practical examples and food trends in these areas. Eva Maria Endres is founder and managing director of the event location Diderot – Kultur & Essen in Berlin as well as co-founder of the Slow Food Youth Movement Germany. She studied public health nutrition at the University of Fulda (M.Sc.). The talk will focus on the various components of share’s business model in which digitalization and sustainability intersect (e.g. traceability of the social impact or transparency in the supply chain in terms of critical ingredients and production sites). Yvonne Löwenstein is sustainability manager at share. She studied nutritional sciences at the University of Potsdam (M.Sc.) and international sustainability management at the ESCP Europe (M.Sc.). The talk will introduce the EVAREST project which has as its objective the development and utilization of data products as economic goods in the ecosystem „food production“. In addition, the Smart Farming World project will be presented, aiming to create a manufacturer-independent and thus fully compatible network of machines in crop farming through service-platforms. Prof. Dr. Wolfgang Maaß is professor in business informatics at Saarland University, scientific director at Deutsche Forschungszentrum für Künstliche Intelligenz (DFKI), and adjunct professor at Stony Brook University Health Sciences Center School of Medicine, NY. Chemistry powers sustainability: How can data make your burger more sustainable? 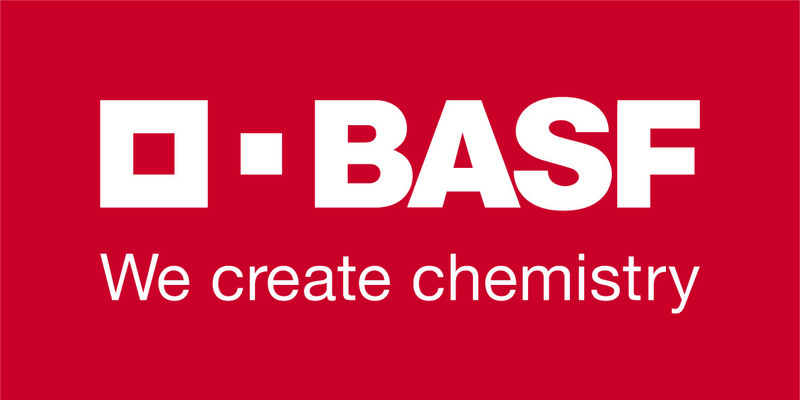 The talk will provide insights into exciting and forward-looking projects from BASF related to food and digitization. Talke Schaffrannek is director of applied sustainability at BAS and holds an Executive MBA from Mannheim Business School and Tongji University. Dr. Nina Challand is team lead of applied sustainability nutrition and health at BASF. She has a PhD from the RWTH Aachen University. The talk will address the media coverage and public consumer comment meat shopper behavior. A special focus will be on what start-ups have to face to establish a successful business based on sustainable values. Alfred Jansen is head of corporate and CSR communications at iglo Germany. He has a diploma from the Rheinische Friedrich-Wilhelms-University Bonn and studied as well at the University of Mannheim. Providing consumers with the right information on sustainable food is considered a key factor in changing the food system in the long term. This also goes for corporate marketing, since the communication of sustainability goals is also becoming increasingly important in customer acquisition strategies. In the workshop, the first step is to work out what information are important for consumers and how to communicate it appropriately. Subsequently, a model is to be developed to implement these communication strategies with the help of augmented reality tools. Nadja Flohr-Spence is the founder of the Sustainable Food Academy. She studied anthropology of food and nutrition, public health at the University of Colorado Denver. Animal agriculture supply chains are under pressure regarding their environmental impacts from various stakeholder groups and even investors are starting to challenge livestock and food companies to develop a low-carbon plan for animal protein. A sound basis for evaluation of environmental impacts has been developed applying life-cycle assessments (LCA). The workshop participants will receive a realistic data set from BASF’s digital LCA-toolAgBalanceTM Livestock, which was used to evaluate an exemplary porkproduction in Germany, as well as insights regarding the meat supply chain and the environmental metrics and corresponding tools which are applied. The aim is to develop solutions on how the data/the results can be used internally (for innovation/development purposes, e.g. at feed mill level) and for B2B communication towards customers at farm or meat processing level as well to make suggestions on how the data/the results can be used for communication at retail level and towards the end consumer. Dr. Nina Challand is team lead of applied sustainability nutrition and health at BASF. New student in Mannheim (international & local) usually face arrival stress, problems resulting from the integration into the German culture as well as difficulties in getting in contact with local communities. How to solve these problems while reducing departure waste and enhancing the consciousness of eco-footprint (waste & energy) during the stay? The workshop participants will work on developing an online website that collates information relevant for new and international students arriving to- and departing from Mannheim. The project aims to provide a directory of information and third-party resources to aid in setting yourself up to live, work and study in Mannheim whilst being conscious of your eco-footprint.